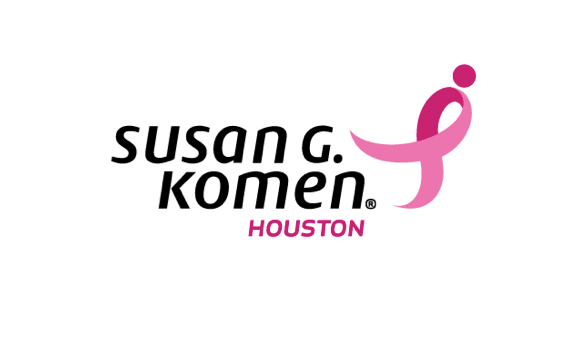 Susan G. Komen® Houston hosted its annual Komen Houston Race for the Cure® on October 4, 2014. Although, I have participated with Komen Races in the past, this year it had a new meaning. You see, on the late evening of Valentine’s Day 2014, I received a call from my brother saying, “Mother’s not breathing.” I’ll never forget those heartbreaking and life changing words, my trip from Dallas to Houston and the crippling pain that literally knocked me to the floor upon seeing my mom. 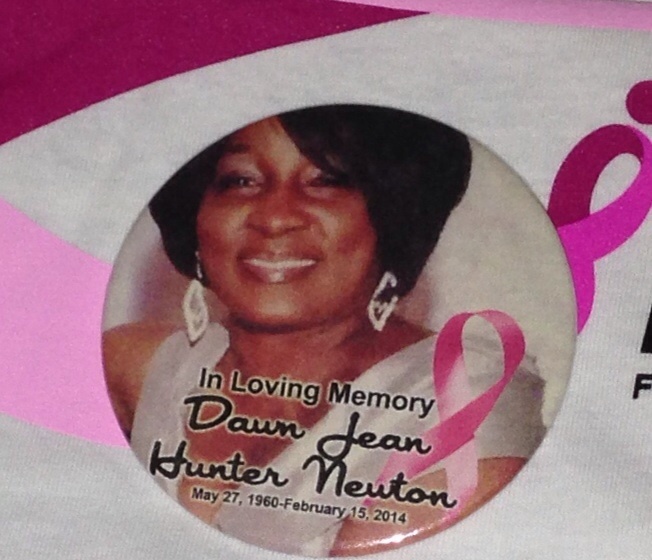 I was devastated and could not believe that “My Mama” was actually gone. My young and vibrant 53-year old mother had passed peacefully in the arms of my Dad who was the love of her life. Indeed, it was a bittersweet chapter to a love story that started over 30 years ago. Today, I support Susan G. Komen® Houston because I believe that no one should ever have to lose their wife, mom, nana, sister, aunt, cousin, best friend, _______. This year, I join Susan G. Komen® Houston in encouraging Houstonians to participate in the organization’s new #Raceto100 campaign. This campaign urges the community to go beyond the race registration fee by donating an additional $100 during the 2014 Race season which ends Dec.1,2014. From preventative clinical breast exams and fine needle biopsies to mammograms and support resources, a $100 donation will go a very long way with assisting patients. 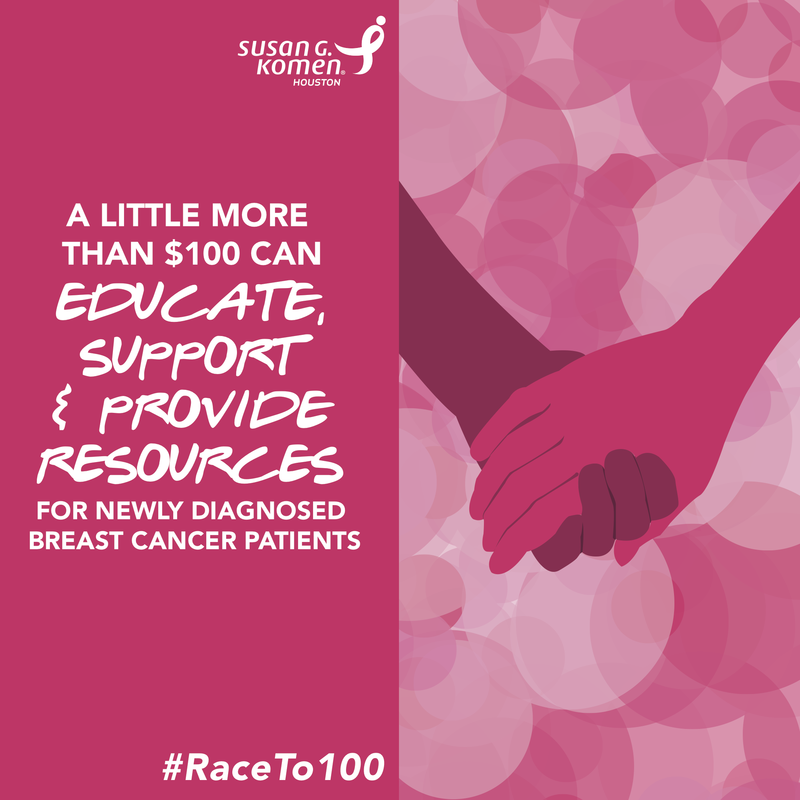 #Raceto100 can also spur a healthy dose of friendly competition and bring people together in the hopes of bringing an end to breast cancer, FOREVER. Will you accept the challenge to #Raceto100? If so, I have created a Komen “LOLADAWN” donation team in memory of my mom and the many others who have battled breast cancer. You can simply visit the LOLADAWN page and make a secure donation directly to Susan G. Komen® Houston by clicking the DONATE button in the top right corner. Donations are accepted through December 1, 2014.